Uh oh, it looks like Little Bo Peep has lost her adorable sheep! 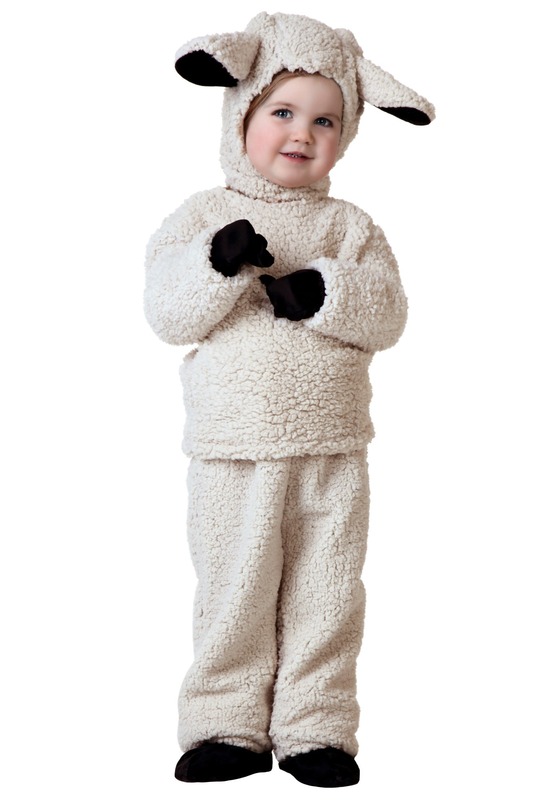 Oh, wait, it's just your little one in our exclusive Toddler Sheep Costume. As cute as they look in this costume, though, can you really blame us for mistaking them for an actual woolly little critter? When we designed this costume, we were thinking it could be part of a farm animal theme, or paired with a Bo Peep costume for mom to wear. It definitely pairs nicely with those themes, and we were really surprised to find a bunch of other fun themes this costume looks great with! Your kid (or "lamb" as young sheep are known as) will look adorable with other animal-costumed children, because every group of critters needs a little lamb in it. However your little lamb decides to play, this costume is a fun way to get started! This costume set comes with a shirt, pants, headpiece, mitts, and foot covers. The woolly shirt and pants are made of cozy faux fleece, and the matching hood and stuffed ears are very cute! A little bit of sheep makeup can make this costume even cuter, and the black shoe covers and mitts they can wear on their little paws will complete their woolly lamb style. We make this costume in children and adult sizes, too, so everyone in the family can be a part of the flock! We've got all the costumes and accessories you'll need to get your kid and your whole family in on the costume fun. From animal costumes to Little Bo Beep, we've got you covered. With plenty of choices, we're sure your next event is going to be sheep-tastic!